Audio Interface for USB Type-C Android Devices, Smartphones, Tablets, PCs. 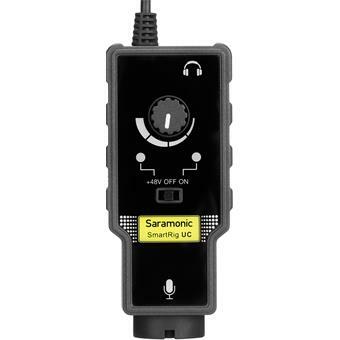 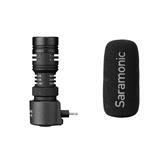 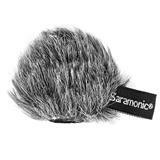 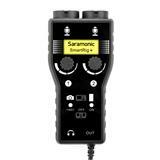 The Saramonic SmartRig UC is a portable microphone, guitar & instrument audio interface for USB Type-C devices. 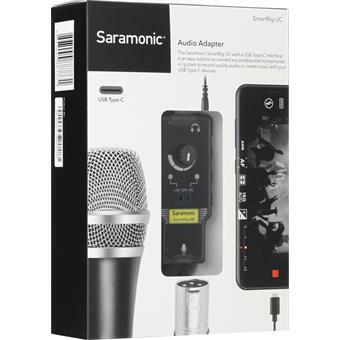 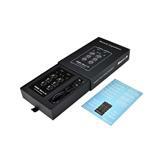 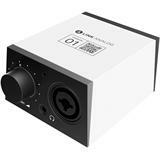 It is designed to let you record professional quality audio by connecting a professional microphone, guitar or other instruments to your smartphone, tablets, PCs and more. 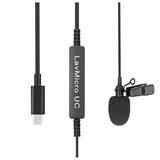 You can connect a guitar or microphone for music recording, podcasting, or journalistic work. 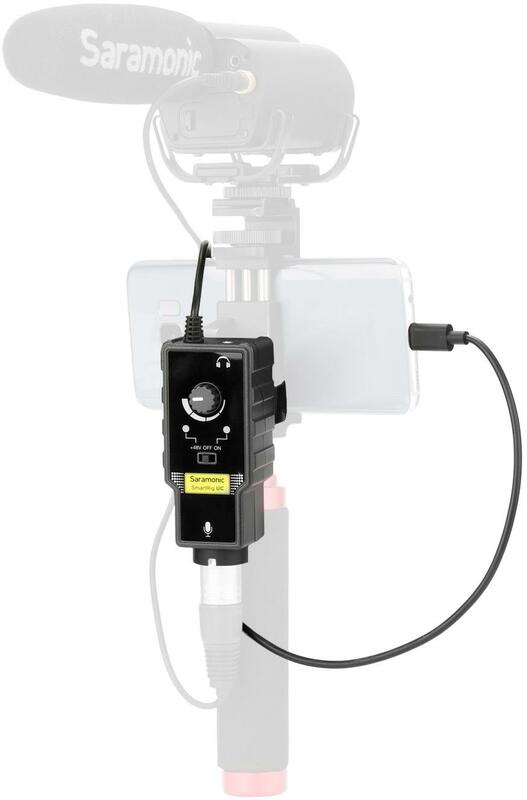 You can even attach a shotgun, lavalier, or wireless mic to vastly improve the sound quality of the videos you shoot with your mobile device. 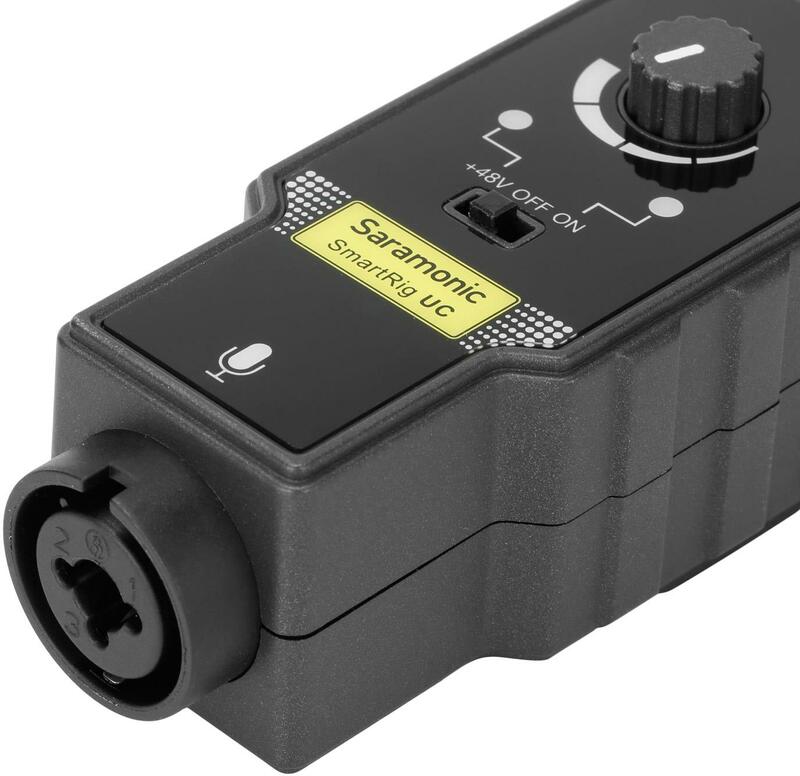 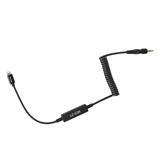 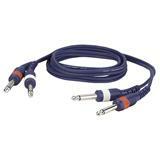 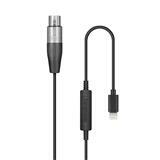 Simply plug a microphone into the XLR connector or plug the guitar/instrument into the 1/4" (6.35mm) connector of the SmartRig UC and connect it to your devices with the USB-C output cable. 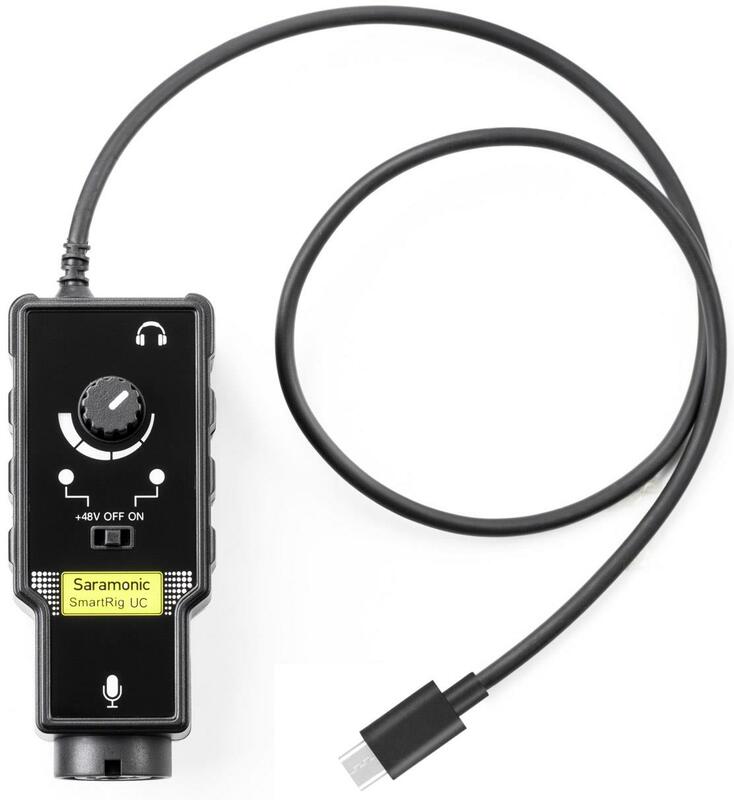 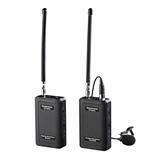 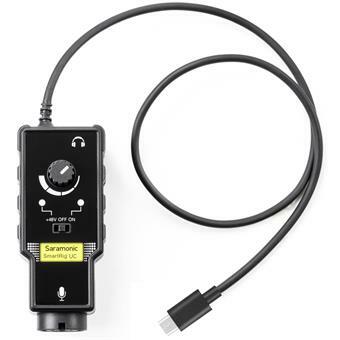 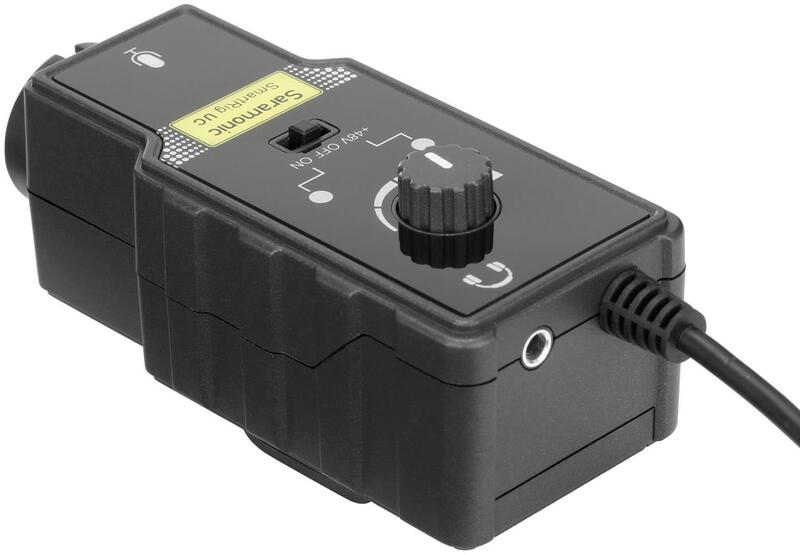 The SmartRig UC also provides +48V phantom power for professional condenser microphones and includes a 3.5mm headphone output for real-time sound monitoring. 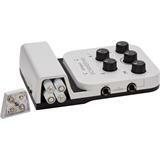 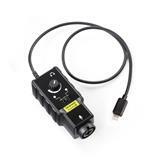 A large gain control thumbwheel makes it easy to set precise levels. 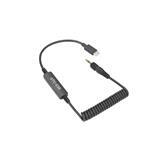 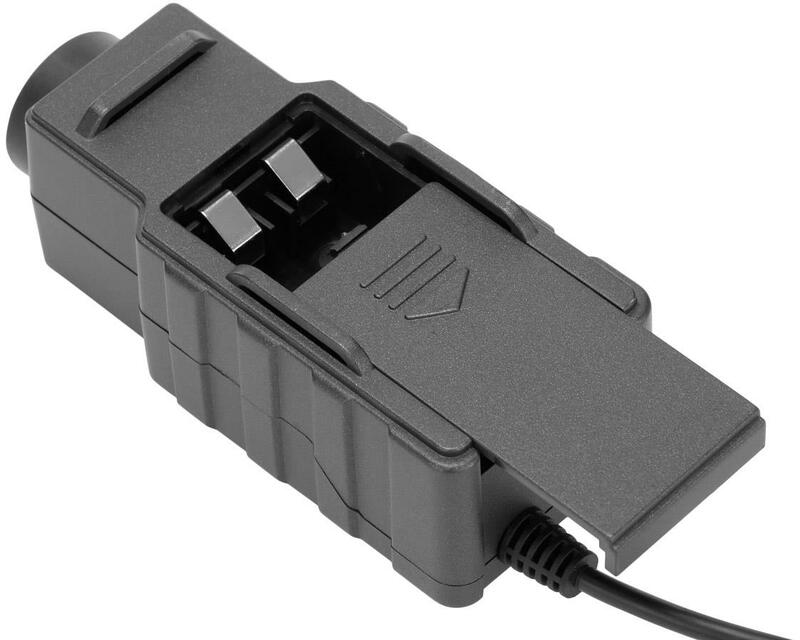 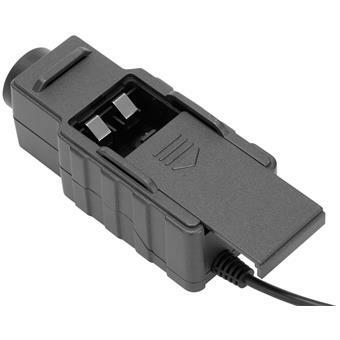 Powered by one 9V battery, the SmartRig UC does not use your portable devices power. 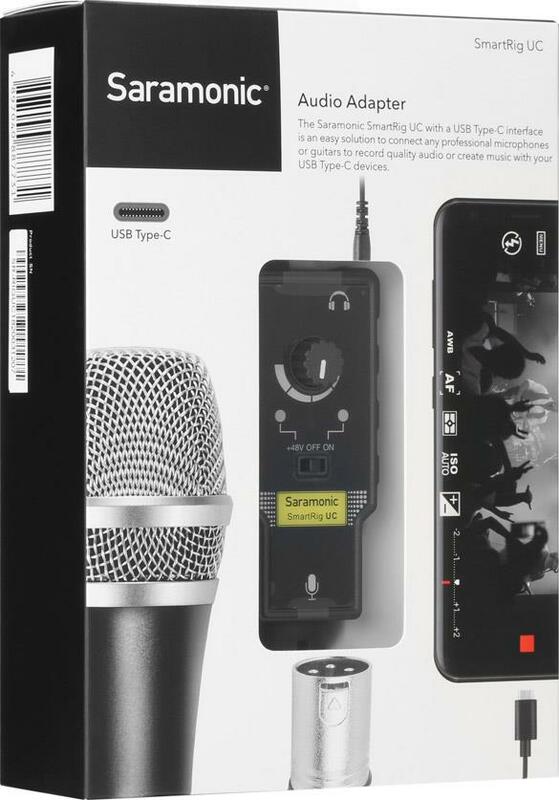 Giving you more time to create and perform. 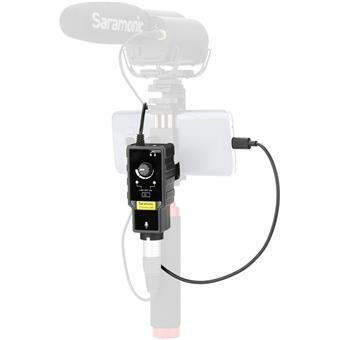 The SmartRig UC features a 3/8 thread on the back of the device for nearly limitless rigging options and the Included strap make it easy to attach to a selfie stick, tripod or mic stand.